So I thought I would share with you another Sale-a-Bration creation, since SAB is only 7 days away! Woot Woot! "Banner Blast" is a set of 10 stamps, consisting of 7 different banners, a heart, a star, and a flower. The Banner punch, punches out the banners with no paper border around them (YEAH!)! The stamps are a tad bigger then the punch, giving you a bit of a "bleed" area when it comes to punching them out. YEAH! Less worry about getting it in the correct position. 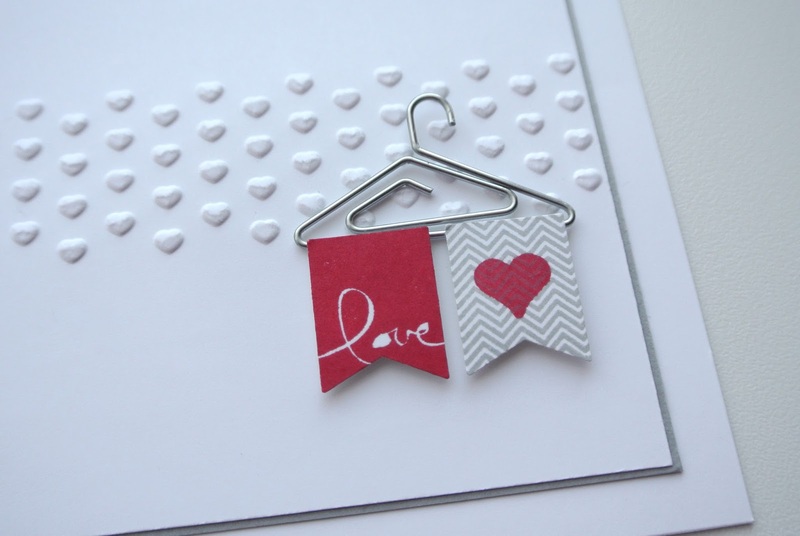 I stamped my banners on Whisper White card stock with Real Red and Smokey Slate. I attached them, using Stampin' Dimensionals, allowing room for me to slip my Hanger embellishment underneath. The 2 banners are also hiding the 2 glue dots that I used to attach the hanger to the front of my card. Everything is mounted on Whisper White and Smokey Slate card stock. 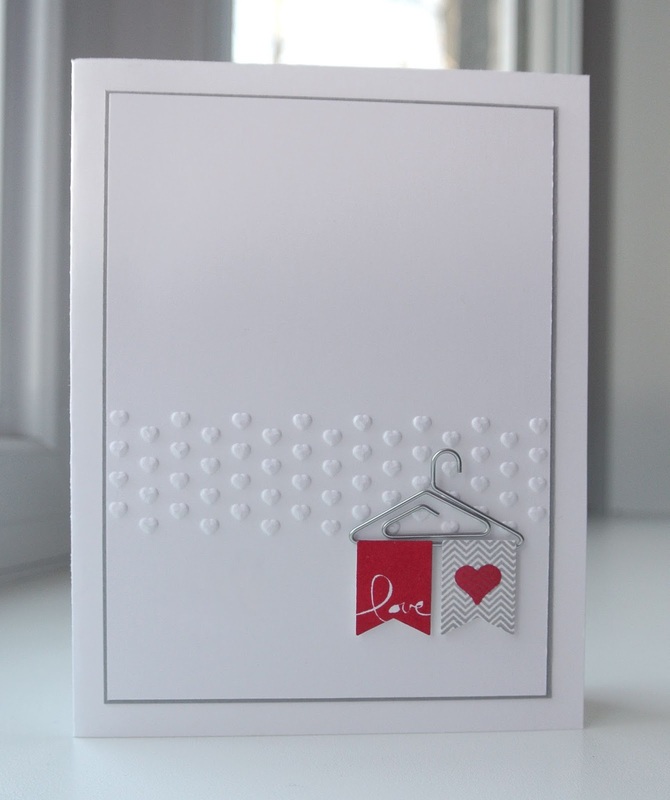 For an extra little detail, I used the "Hearts" folder from the Adorning Accents to emboss the grid of hearts across the card.